On April 14th Dothan Police responded to a report of Child Abuse at Flowers Hospital. Investigators learned that a two year child had suffered burns on his foot and hand. The child also had bruising on the facial area, abdomen, and buttocks. The child was transferred to the Children’s of Alabama burn unit in Birmingham where it was determined that the child suffered 2nd Degree burns. Investigators were informed that the injuries suffered by the child were consistent with child abuse. During the course of the investigation multiple persons were interviewed and Investigators charged Kewan Deshawn-Obrien Walker, 22, of Trillium Circle in Dothan with one count of Aggravated Child Abuse. His bond has been set at $100,000.00. The Dothan Police Department has arrested one of our own. Earlier today some of our officers were engaged in a training class when one of the supervisors began acting strangely. Two supervisors identified his behavior as erratic and highly unusual. After conferring with other members of the training class they exercised their authority under the City of Dothan’s drug testing policy and escorted the supervisor to the Health Clinic for mandatory drug testing. As policy dictates, the employee was placed on Administrative Leave. During the relief of duty process two bottles of a controlled substance were discovered in his police car. Vice officers were called and conducted a criminal investigation. Jonathan Whaley has been charged with two counts of Unlawful Possession of a controlled Substance and two counts of Theft of Property 2nd Degree. The United States Department of Justice recently funded a study of the effects of body-worn cameras on officer activity, officer use-of-force and citizen complaints. The study found that officers equipped with body-worn cameras made more arrests, wrote more citations, were involved in fewer use-of-force situations and received fewer citizen complaints that those officers without cameras. Many community stakeholders and criminal justice leaders have suggested placing body-worn cameras on police officers improves the civility of police-citizen encounters and enhances citizen perceptions of police transparency and legitimacy. 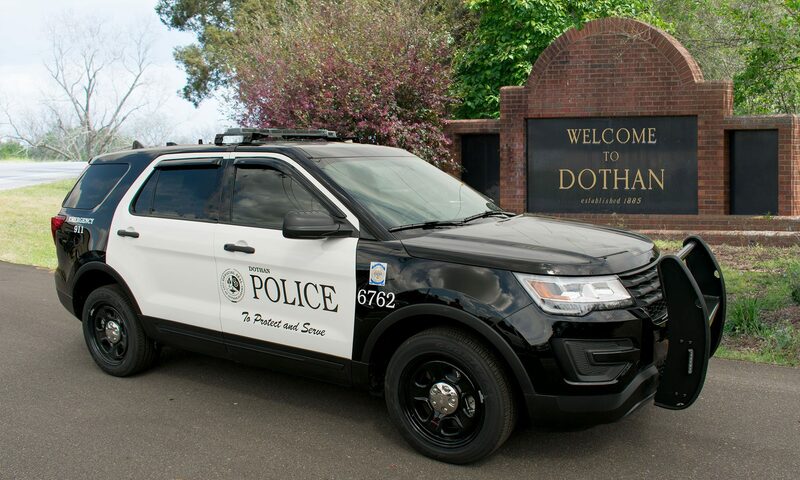 In response, many police departments, including the Dothan Police Department, have adopted this technology to improve the quality of policing in their communities. The existing evaluation evidence on the intended and unintended consequences of outfitting police officers with body-worn cameras is still developing. This study reports the findings of a randomized controlled trial involving more than 400 police officers in the Las Vegas Metropolitan Police Department (LVMPD). The study shows that officers who wore cameras generated significantly fewer complaints and use of force reports relative to control officers without cameras. Officers who wore cameras also made more arrests and issued more citations than their non-camera-wearing counterparts. In addition, a cost-benefit analysis revealed that savings from reduced complaints against officers, and the reduced time required to resolve such complaints, resulted in substantial cost savings for the police department. In 66% of complaint investigations, the body-worn camera evidence alone was enough to dispel or confirm the complaint against the officer. Considering that LVMPD had already introduced reforms regarding use of force through a Collaborative Reform Initiative prior to implementing body-worn cameras, these findings suggest that body worn cameras can have compelling effects without increasing costs. On 03/31/2018, Southside Wal-Mart located at 3300 South Oates St., received a phone call stating there was a Bomb in the bathroom. Wal-Mart was evacuated and the Dothan Police Departments Bomb Team responded and cleared the building and parking lot. During the course of investigation, three juvenile males were identified and arrested. Names are being withheld due to the age of the juveniles.